Governor Andrew M. Cuomo today announced that New York State has provided over $8 million to areas affected by Superstorm Sandy for the reimbursement of costs for cleaning up after the storm. Albany, NY - April 21st, 2013 - Governor Andrew M. Cuomo today announced that New York State has provided over $8 million to areas affected by Superstorm Sandy for the reimbursement of costs for cleaning up after the storm. The localities receiving these FEMA-approved funds include: the Village of Amityville, Suffolk County; Village of Babylon in Suffolk County; Town of Huntington, Suffolk County; Town of Southampton, Suffolk County; Town of Bedford, Westchester County; and the New York Botanical Gardens in the Bronx. “Restoring communities damaged by Superstorm Sandy is our department’s highest priority and these Public Assistance reimbursement funds will help each of the affected communities get their fiscal affairs back in order,” said NYS Division of Homeland Security and Emergency Services Commissioner Jerome M. Hauer. The release of these federal funds are part of ongoing and anticipated future reimbursements the state will administer and pay to the affected municipalities. Municipalities are being reimbursed based on a variety of projects that include construction and demolition, sand and vegetative debris removal, EOC activations, evacuations, inspections, emergency IT repairs and restoration and the Sheltering and Temporary Essential Power (STEP) program. The state will continue to make these reimbursement payments as FEMA obligates the funds. The Town of Huntington in Suffolk County is receiving $4,079,266. 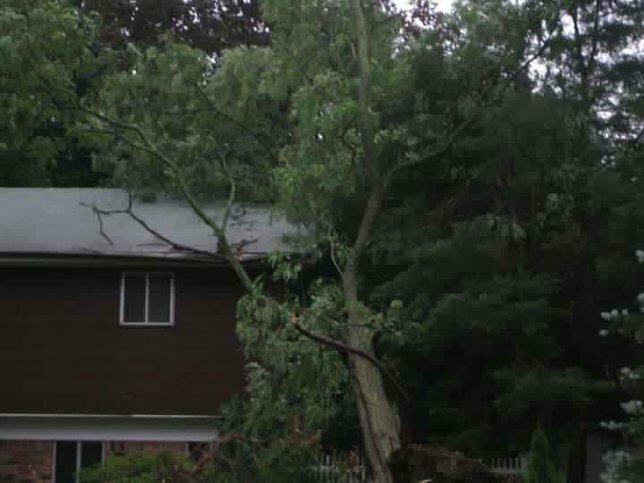 Costs incurred by the Town following the storm were for labor, equipment and contract expenses related to removing downed trees, limbs, power lines and contaminated sand, which caused widespread hazardous conditions. The Town of Southampton in Suffolk County is receiving $1,512,091. During Sandy, strong winds and heavy rains brought down trees and power lines, and related flooding in low lying areas caused hazardous conditions and power outages throughout the Town. Over 100,000 cubic yards of tree and mixed vegetative debris were deposited around the Town, which was removed by municipal and contracted crews, including the use of rental equipment to augment the clean-up process. “Getting recovery dollars into the hands of local municipalities is critically important -- and doubly so for Southampton, where the economy-boosting tourist season is about to begin,” said Senator Kenneth P. LaValle who is a member of the Senate's Sandy Budget Sub-Committee. The Village of Babylon, Suffolk County is receiving $832,604. During Sandy, flooding, heavy winds, strong tidal waves and rain caused widespread damage, and sidewalks and curbs were uplifted by trees uprooted by hurricane force winds. The Village had to rent equipment to help with the collection and removal of debris, which consisted of about 2,500 tons of construction and demolition debris as well as nearly 1,600 tons of vegetative debris. The clean-up effort was completed by the Village’s workforce for both types of debris. The Town of Bedford in Westchester County is receiving $585,766. During Sandy, winds caused widespread hazardous vegetative debris, including downed trees and branches in roadways, public parks and right-of-ways. The town used municipal labor, augmented with contract labor, to remove approximately 22,707 cubic yards of tree and vegetative debris from Town roadways and road right-of-ways. The New York Botanical Gardens in the Bronx is receiving $520,929. Costs incurred by the Botanical Gardens were for the clean-up and removal of approximately 5,000 cubic yards of vegetative debris, including downed trees that blocked roads, pathways and walkways, causing hazardous conditions throughout the National Registered Historic Landmark. The Village of Amityville in Suffolk County is receiving $483,450. The Village’s clean-up costs accounted for the removal, transportation, storage, reduction, and disposal of about 2,300 tons of construction and demolition debris and about 1,300 tons of vegetative debris consisting of downed trees, limbs and root balls. Strong winds, along with the tidal surge, produced construction and demolition debris consisting of exterior and interior damages, all of which were brought to the village right-of-way for removal. Costs for debris removal included municipal labor and contractors overtime incurred that utilized its force account equipment. The Village also used rented equipment, with operator, to assist in the debris collection. The construction and demolition debris was moved to a temporary site. The vegetative debris was also moved to a temporary debris reduction site. Contractors were hired to collect debris from the Village streets and haul the debris to final disposal sites. Assemblyman Robert K. Sweeney said, “The initial cleanup after Superstorm Sandy was an immense effort that required all hands on deck. Amityville was able to count on local volunteers, civic organizations and dedicated public servants, including Governor Cuomo, during the storm. The governor is continuing to deliver by making sure our local government receives the federal aid it needs to cope with the costs of cleanup. Subject: LongIsland.com - Your Name sent you Article details of "Governor Cuomo Directs Over $8 Million in Federal Funds to Reimburse Localities Impacted by Superstorm Sandy for Clean-Up Costs"